...there's life in the matrix! While working on GridLife, I wrote two tiny tools I as a byproduct. So I decided to setup a subpage hosting all the tools I made, because someone else might find them useful. By now, there are eight applications available for download. 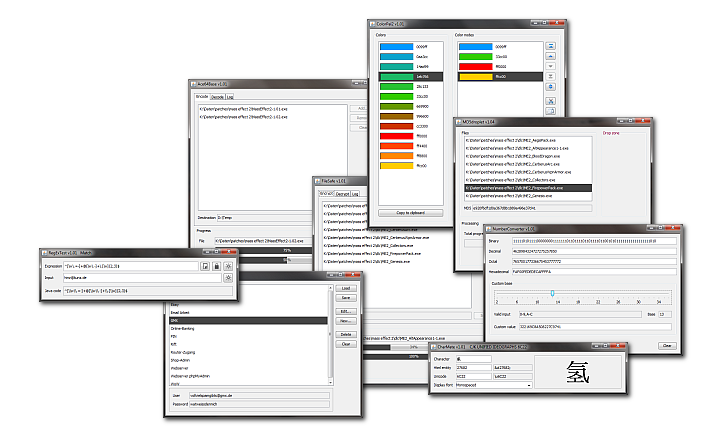 There are applications for managing your passwords and logins, tools for encoding/decoding and encrypting/decrpyting files as well as a number conversion application. If you want to check them out, then follow this link or click the image below, please. 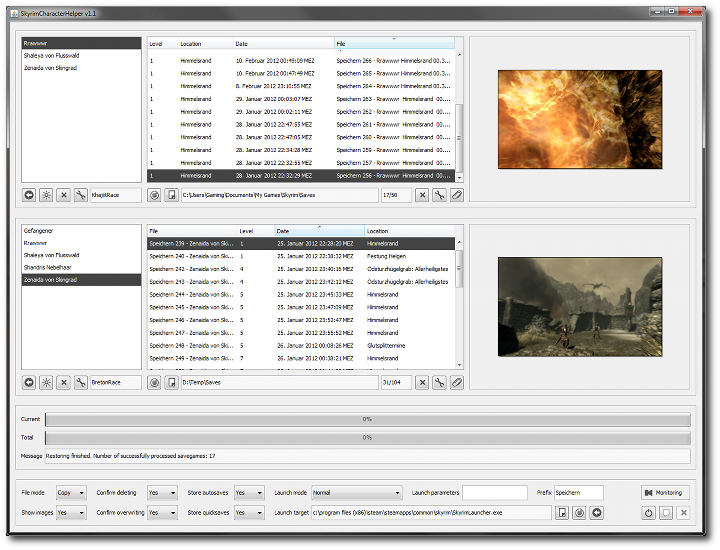 This tool lets you access Skyrim's savegames for moving or copying them to a backup directory and vice versa, or for deleting them. You can select complete character with all of their savegames, selections of savegames and particular savegames for these operations. So you can move your other chars to the backup directory when playing a new character, which speeds up the process of loading and saving games. SkyrimCharacterHelper also supports lauching Skyrim with just a single character's savegames. As a goodie, the savegames' screenshot thumbnails can be copied to the system clipboard. Below, you see a screenshot of SkyrimCharacterHelper in action (btw., the strange filenames with missing mutated vowels are really looking that way on my harddisk, so put the blame for this on Bethesda :-). f you want to check it out, then follow this link or click the image below, please.